William FISKE (1643 – 1728) was Alex’s 9th Great Grandfather; one of 1,024 in this generation of the Miller line. William Fiske was born about 1643 in Wenham, Mass. His parents were William FISKE Sr. and Bridget MUSKETT. He married Sarah KILHAM 15 Jan 1662/63. William died in Feb 1727/28 in Wenham Mass in his 86th year. 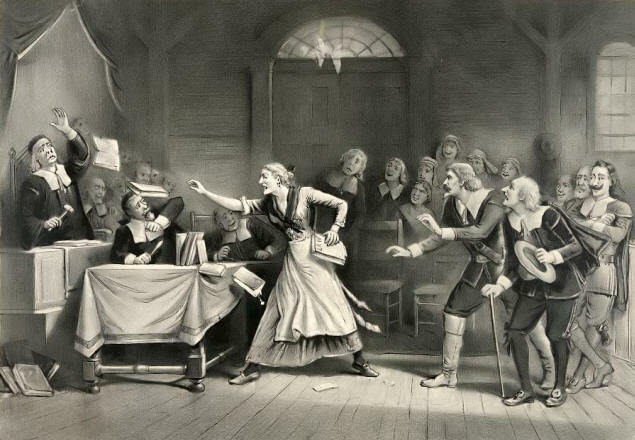 Sarah Kilham was born on 4 Jan 1642/3 in Wenham, Essex, MA. Her parents were Austin KILHAM and Alice GORBALL. Sarah died 26 Jan 1737/38 in Wenham Mass in her 98th year. It appears there were two first cousins, William Fiske’s daughter and Joseph Fiske’s daughter, both named Ruth, born a couple years apart who both immigrated to New Brunswick. Many genealogies mix these two women up, but it’s not possible that the same woman was mother to both Richard Estey’s children and David Kilborne’s children because they were born at the same time. It”s more likely that William Fiske’s daughter was our ancestor, but I’m including posts for both families. c. 1693 2 May 1745 in Ipwich, Mass. He was also called lieutenant. We whose names are underwritten, being in the year 1692 called to serve as jurors in court at Salem, on trial of many who were by some suspected guilty of doing acts of witchcraft upon the bodies of sundry persons, we confess that we ourselves were not capable to understand, nor able to withstand, the mysterious delusions of the powers of darkness and Prince of the air, but were, for want of knowledge in ourselves and better information from others, prevailed with to take with such evidence against the accused, as, on further consideration and better information, we justly fear was insufficient for the touching the lives of any (Deut. xvii) whereby we fear we have been instrumental, with others, though ignorantly and unwittingly, to bring upon ourselves and this people of the Lord the guilt of innocent blood; which sin the Lord saith in Scripture he would not pardon (2 Kings xxiv.4)- that is, we suppose, in regard to his temporal judgments. for which we are much disquieted and distressed in our minds, and do therefore humbly beg forgiveness, first of God, for Christ’s sake, for this our error, and pray that God would impute the guilt of it to ourselves nor others, and we also pray that we may be considered candidly and aright by the living sufferers, as being then under a strong and general delusion, utterly unacquainted with, and not experienced in, matters of that nature. We do hereby ask forgiveness of you all, whom we have justly offended, and do declare, according to our present minds, we would none of us do such things again, on such grounds, for the whole world – praying you to accept of this in way of satisfaction for our offense, and that you would bless the inheritance of the Lord, that he may be entreated for the land. Samuel’s wife Elizabeth Brown was born 27 Jun 1671 in Reading, Essex, Mass. Her parents were Josiah Brown and Mary Fellows. Elizabeth died 21 Jul 1721 in Wenham, Essex, Mass. He moved to Rehoboth, Massachusetts about 1710 where he died. Benjamin’s wife Mary Quarles was born 1677 in Ipswich, Essex, Mass. Her parents were William Quarles and Martha Dickinson. Mary died 11 Jan 1745 in Mass. They resided in Wenham, where he frequently held town offices. He was a man of property and a liberal patron of the Wenham church. He died in 1742, leaving wife Mary, but no children, as heirs. He left the church 5 pounds when he died. Theophilus’ first wife Phebe Lamson was born 13 Aug 1673 in Ipswich, Essex, Mass. Her parents were John Lamson and Martha Perkins. Phebe died 23 May 1753 in Wenham, Essex, Mass. Theophilus’ second wife Mehitable Wilkins was born 24 Nov 1730 in Middleton, Essex, Mass. Her parents were Hezekiah Wilkins and Mehitable Upton. Mehitable died in Wenham, Essex, Mass. He settled in Wenham, where he made his will June 8, 1757, and died Sep 6, 1759, and his brother, Dea. Ebenezer Fiske, settled his estate. Of his real estate in the inventory, besides his homestead, was twenty- four acres of meadow in Wenham, two acres salt marsh in Ipswich, and three lots in Wenham Swamp; and the homestead was bounded by a Thomas Fiske, John Friend, and Josiah Fairfield. Ebenezer’s first wife Elizabeth Fuller was born 1686 in Salem, Essex, Mass. Her parents were Jacob Fuller and Mary Bacon. Elizabeth died 25 Aug 1732 in Wenham, Essex, Mass. Ebenezer’s second wife Martha Kimball was born 24 Feb 1688 in Wenham, Essex, Mass. Her parents were Ephraim Kimball and Mary Friend. Martha died 28 Mar 1764 in Wenham, Essex, Mass. He was appointed executor of his father’s will in 1729. Deacon Ebenezer Fiske died 30 Sep 1771, in his ninety third year — a venerable and venerated patriarch of his church and town. Elizabeth’s husband Eleazer Foster was born 6 Apr 1684 in Ipswich, Essex, Mass. His parents were Isaac Foster and Martha Hale. His grandparents were Reginald FOSTER and Judith WIGNOL. Eleazer died 15 Nov 1771 in Ipswich, Essex, Mass. In 1758 their son, Abijah, and his son Ebenezer both died of smallpox at Crown Point. This entry was posted in 11th Generation, Line - Miller, Public Office, Veteran, Witch Trials and tagged Salem Juror, Wenham Mass. Bookmark the permalink.